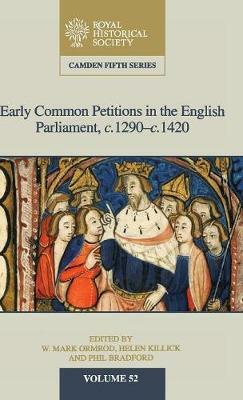 The fourteenth century witnessed the emergence of the parliamentary common petition, a statement of grievance and request for reform that provided the basis for much of the royal legislation of the period. In the process of compiling the common petitions, much proposed business was set aside and not committed to the permanent record of the parliament roll. A significant body of that 'lost' material has now been recovered and is published here for the first time, providing a fresh understanding of the full range of preoccupations of the medieval House of Commons as it emerged as the mouthpiece of the political community before the king. Alongside questions over the rights of the church, the corruption of officials and the processes of royal justice, the commons also expressed deep concerns over the many political, economic and social concerns of the period, including the consequences of war, plague and revolt.